There is a common sea world precept that cruise ships are sailing cities. While this is true, first time cruisers who have just booked their trips obviously have a million questions about what they can or cannot access while traveling on a cruise ship. Generally, all cruise ship amenities have dining, wining, and restaurant facilities. 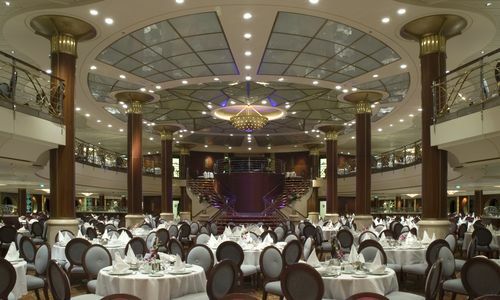 There are bars and lounges as well, with some ships providing casinos and other adult-themed entertainment facilities. Large cruise ships in particular have a wide range of dining facilities because they realize that fine dining constitutes a big chunk of an excellent travel and leisure experience. You can indulge in Italian cuisine or dig in on tapas like you are in some Spanish resort all courtesy of the sit-down restaurants, upscale dining facilities, and the onboard eateries. Enjoying a meal in the upscale and elegant dining places might mean you make very early bookings as they are very popular with cruisers. Aside from the bars and lounges, cruise ships also have discotheques, casinos, and other adult-themed entertainment facilities just like you have on land. 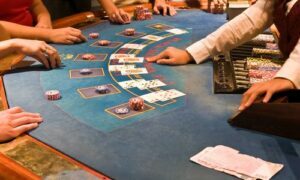 Casinos and gambling in particular are big pastimes at sea. If you take a cruise to enjoy these then you might want to dig deep to find out what exactly is on offer. Discotheques, lounges, and casinos more often than not have age restrictions; the junior members of your family who accompany you on a cruise won’t be let in. You are in luck though if you bring children along because the ship has all sorts of activities that will keep them busy while you sneak a few hours for yourself. These children’s activities are monitored so you can sit back and have fun knowing they are in good hands. 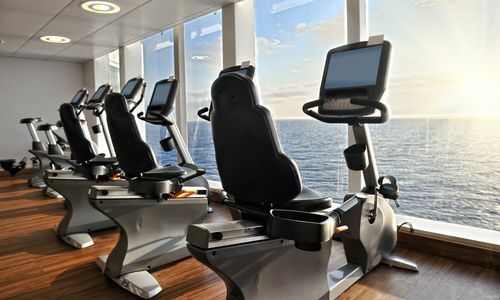 Vacations on a cruise ship may be a good change from the usual daily routines. There however are aspects that you can’t do without even at such times. Training and fitness is one daily routine to stay in shape and many people hold very dear. For this reason, many cruise ships have elaborate fitness centers and equipped gyms so you do not miss a day of practice. Some, especially the large ships, have jogging tracks as well. Quick cruise tips: there are other inclusions like onboard shops and luxury stores where you can get very decent gifts for you and your loved ones. You might want to take advantage of these as well.